Dentures can enable people who have lost all or most of their teeth to regain a more natural appearance and recover the ability to chew and eat normally. However, in order to enjoy these benefits, you really need to get your dentures from a skilled Rancho Palos Verdes dentist like Dr. Mileham. 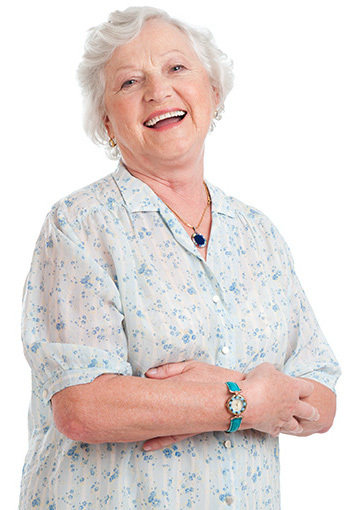 With Dr. Mileham’s help, you can have dentures that are custom-fitted to the unique contours of your mouth. These dentures will offer tremendous advantages to off-the-shelf models, such as superior comfort and a better, more secure fit. Come visit us for a denture consultation and we’ll provide our honest evaluation and best solution to your tooth loss. At South Bay Center for Aesthetic Dentistry, we uniquely understand the needs of denture patients. We can provide caring treatment and expert service to patients at any stage of this life-changing process. Dr. Mileham can perform safe and hygienic tooth extractions to pave the way for new dentures as well as solve problems with bad breath or tooth and gum pain. He can also help patients who may already have dentures upgrade to a custom set of false teeth or get a better fit. When you trust Dr. Mileham to provide your new dentures in Rancho Palos Verdes, you can rest assured that you are getting expert advice and quality care. We won’t quit until you are one-hundred percent satisfied with your dentures. Adjusting to a new set of dentures can be challenging but the process will be easier if you get high-quality, custom-made dentures. At South Bay Center for Aesthetic Dentistry, our caring and compassionate staff can help you through this transitional period, providing as many adjustments as you need in order to feel comfortable and confident wearing your new dentures. We can also provide advice about speaking and eating with your new false teeth in place. Remember, denture adjustments may be required years after getting your dentures, as well as in the initial stages. Your jaw will continue to change as you age but with help from Dr. Mileham, you can get the ongoing adjustments you need to make sure your dentures continue to fit perfectly. During the initial adjustment period, it is quite common for patients to experience issues with their new dentures. For example, some patients have trouble speaking or eating because their dentures shift or move in their mouth. Others may develop gum irritation or infections. Of course, well-made, custom dentures should cause fewer problems than their ill-fitting, cheaper or generic counterparts. But even custom dentures will need some adjustments. Whenever you experience a problem with your dentures, you can visit Dr. Mileham for an expert evaluation to ensure that your dentures fit as perfectly as possible. Dr. Mileham can adjust your dentures to help prevent gum irritation and recommend products like denture cement to combat slipping issues. At South Bay Center for Aesthetic Dentistry, we provide our patients with the ongoing help and support that they need to successfully adjust to new dentures. Remember, just because you have false teeth doesn’t mean that your relationship with your Rancho Palos Verdes dentist is over! You still need to make regular appointments for evaluations to see how your jaw has changed and make sure your dentures still fit properly. If Dr. Mileham identifies bone loss or weakness in your jaw, he may recommend bone graft surgery or dental implants to correct the situation. We are always here in Rancho Palos Verdes to help you with your dentures.